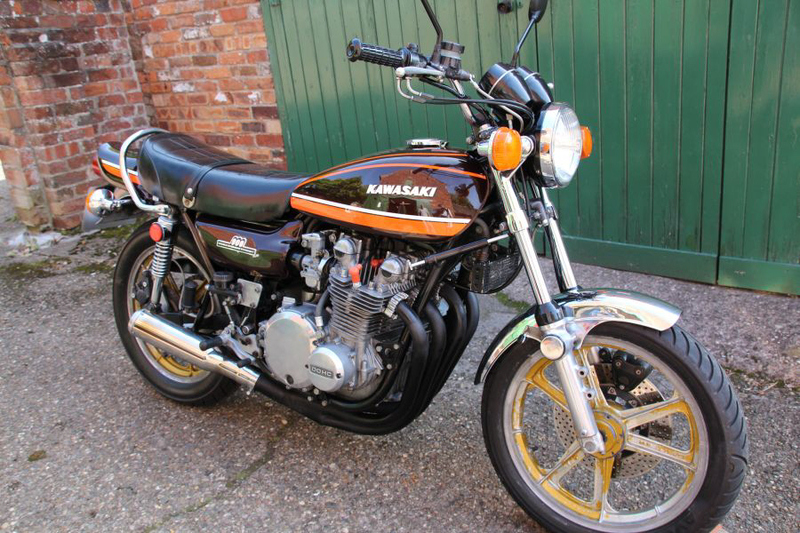 1974 Kawasaki Z1A 900 for sale. 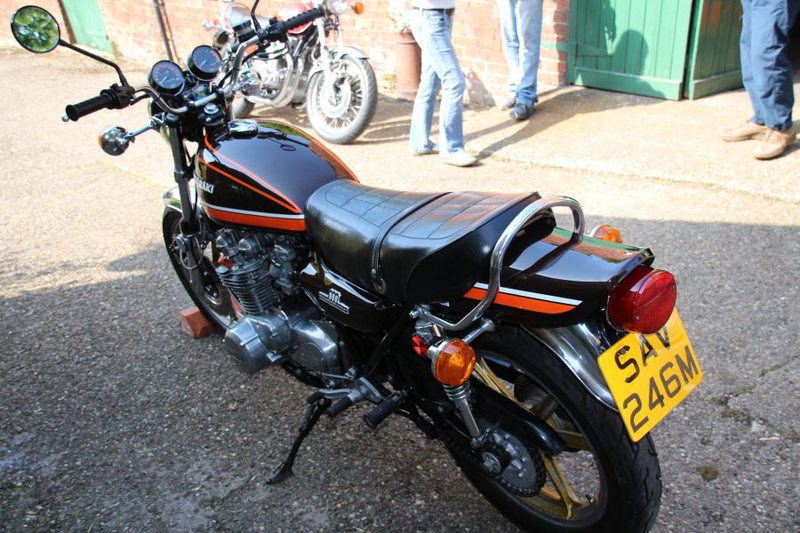 The Z1A is the second of Kawasaki's iconic Z1 models. Condition. This a UK registered bike on the road with a long MOT. None original wheels, exhaust, rear sets and brakes fitted. The bike rides well and all none original parts can be corrected by us at extra cost if required. Preparation. All our stock is HPI checked. The bike has been evaluated and serviced by us including roadtesting over at least 25 miles. She has been independently MOTed for 12 months. She will also be given a pre-delivery road test and check. Storage. If you buy the bike but would like her stored before delivery, the bike can stay here for up to 6 months at no charge to you. After 6 months storage is charged at £5 per week. Delivery in UK. Free delivery of up to 100 miles is included in our price. Delivery for greater distance is available in our van at 45p/mile, charged on total mileage within the UK. Price £5995 We are open to offers and will consider cars and bikes in part exchange.